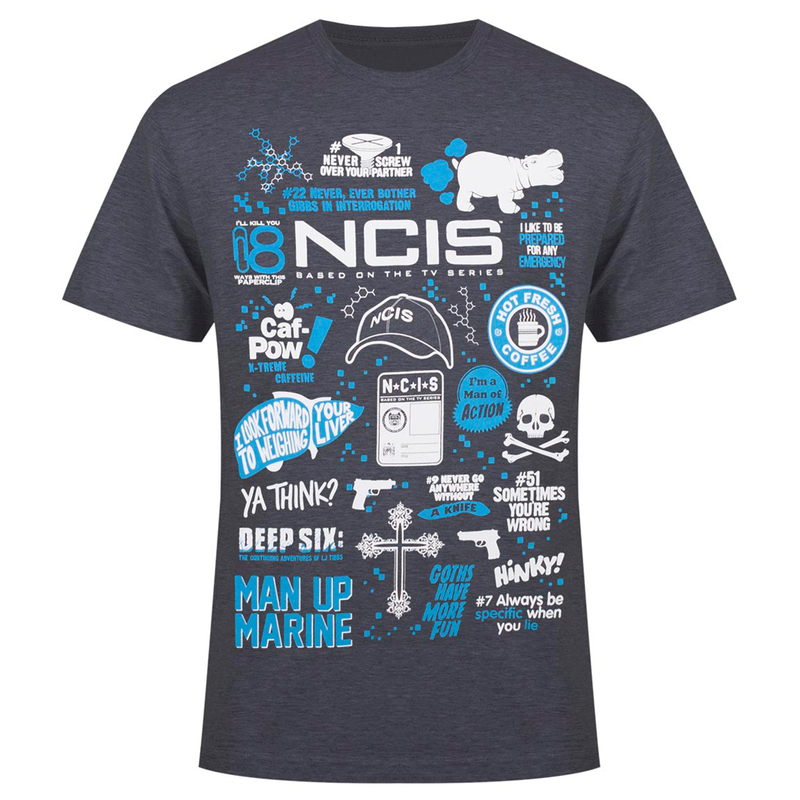 Get all of your favorite parts of NCIS in one single tee when you get the NCIS Mashup T-Shirt. 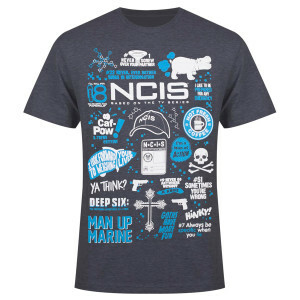 The soft heather grey tee features some of the best lines and inside jokes from Gibbs, Zeva, McGee, and DiNozzo. 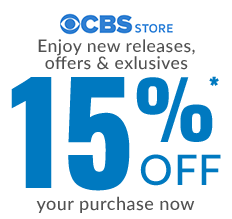 With Bert the Farting Hippo, Gibbs’ best rules, and Abby’s term “Hinky” it’ll be clear to fellow fans that you’re serious about NCIS.